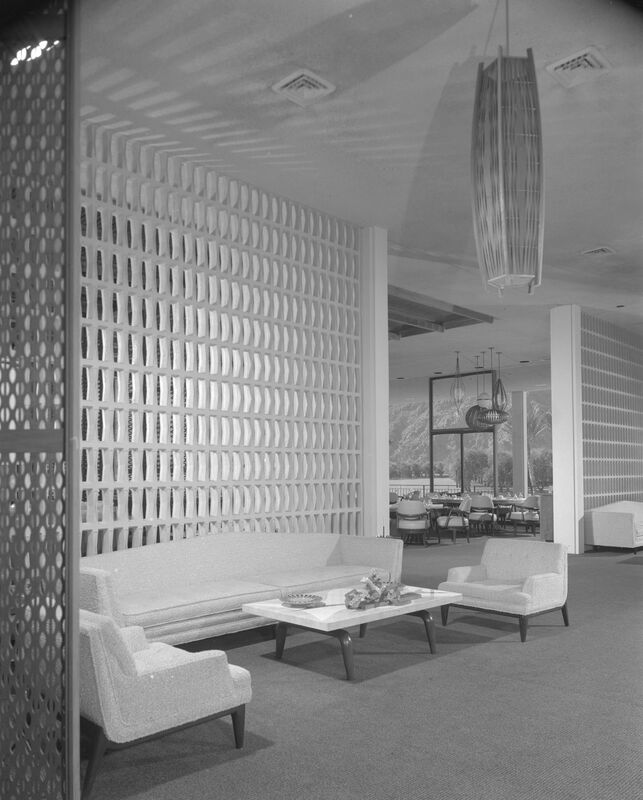 Arthur Elrod and the vibrant, modern interiors of Palm Springs - Stephen P. Wald Real Estate Associates Inc.
At the heart of this shift was a housing boom driven by architects, builders, and designers who helped brand the area as a thriving oasis, where modern innovation had made desert living not only attractive, but luxurious. A new book profiles one of the central figures behind Palm Springs’s postwar glory days: prolific interior designer Arthur Elrod, who furnished many of the region’s most iconic residences. 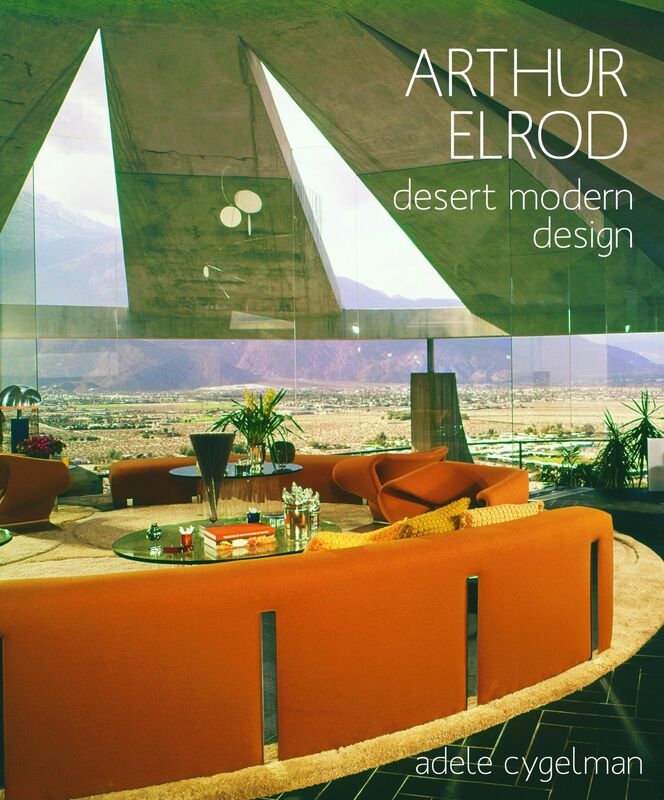 Arthur Elrod: Desert Modern Design, written by Adele Cygelman, examines the designer’s life and works, including detailed accounts of some of his most celebrated projects. A native of South Carolina, Elrod arrived in Palm Springs in the 1940s, and worked for several years at the city’s Bullock’s department store. 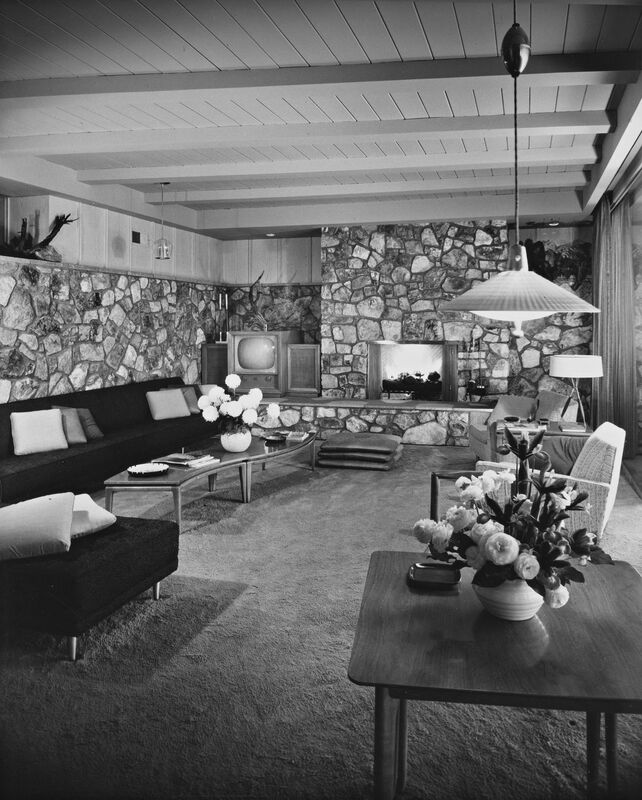 After moving to San Francisco and gaining recognition as an interior designer for W. & J. Sloane, Elrod returned to Palm Springs with partner Hal Broderick and established his own firm there. One of Elrod’s first major commissions was the Palm Springs home of Lucille Ball and Desi Arnaz. Elrod quickly won the admiration of Palm Springs’s country club elite, and was hired to design the homes of some of the city’s most notable part-time residents, including Lucille Ball and Desi Arnaz, Walt Disney, and composer Hoagy Carmichael. As Cygelman notes, Elrod was adept at blending many of the most popular design styles of the eras during which he worked, allowing minimalist interiors to gel with bulky furniture pieces and opulent antiques that clients brought with them to the desert. Elrod chose furnishings for the El Dorado Country Club that would complement the towering interior breeze block, designed by William F. Cody. A family-oriented show room designed by Elrod at the Los Angeles International Design Center displays his penchant for bright colors and eclectic furnishings. 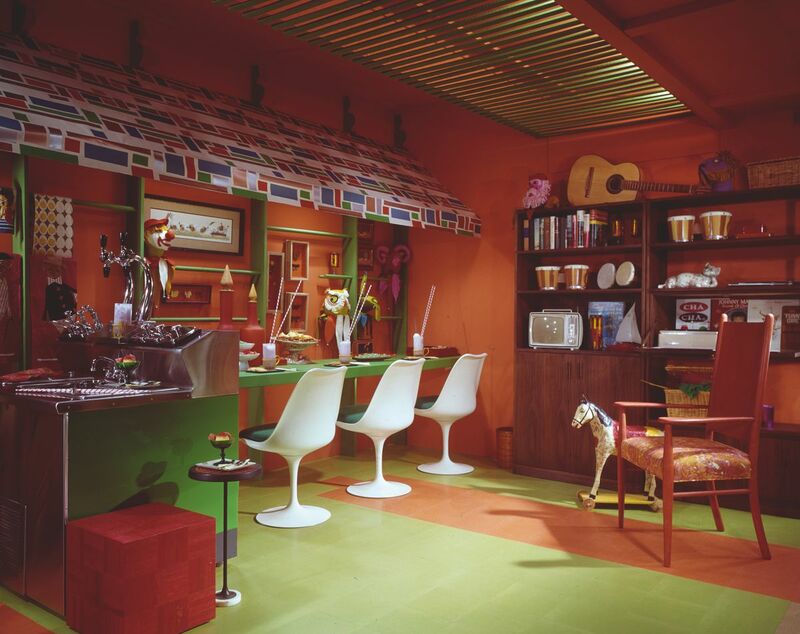 The designer’s colorful interiors were often supplemented with custom-made furniture pieces and state-of-the-art appliances, all bound to draw the attention of guests in the small city, where gossip traveled quickly. Fittingly, Elrod’s masterpiece is his own residence, which was completed in 1968 and designed by imaginative architect John Lautner. Built into a rocky hillside, the striking concrete home has open interiors with walls of glass that look out across the surrounding landscape. Elrod furnished the residence with enormous, multicolored furniture pieces; custom light fixtures; and contemporary art pieces sourced from a long list of international artists and designers. The house was cemented as a midcentury icon through its appearance in the James Bond film Diamonds are Forever. Still an architectural treasure, it sold in 2016 for $8 million. 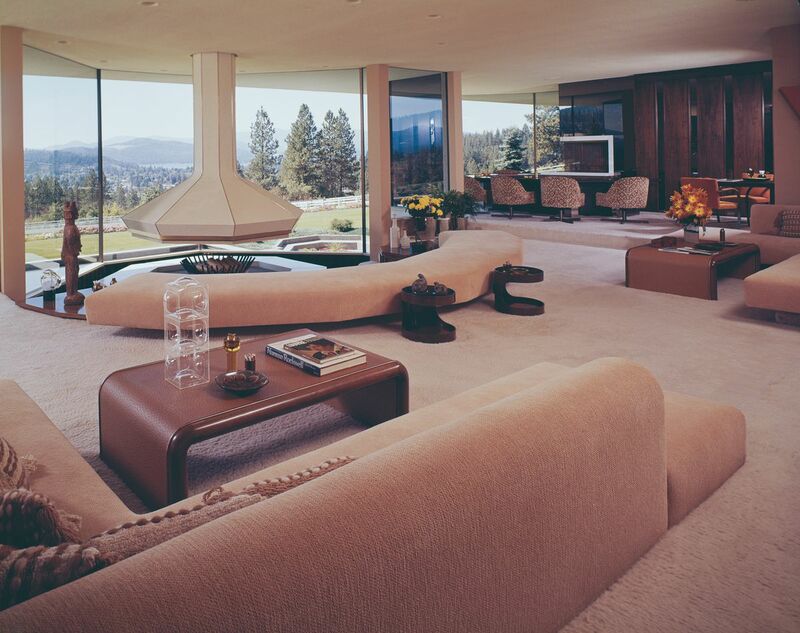 An Elrod-designed living room in Coeur d’Alene, Idaho.